If you’d like to stock these journals in YOUR country, please email editor@ayeina.com for the wholesale price list. 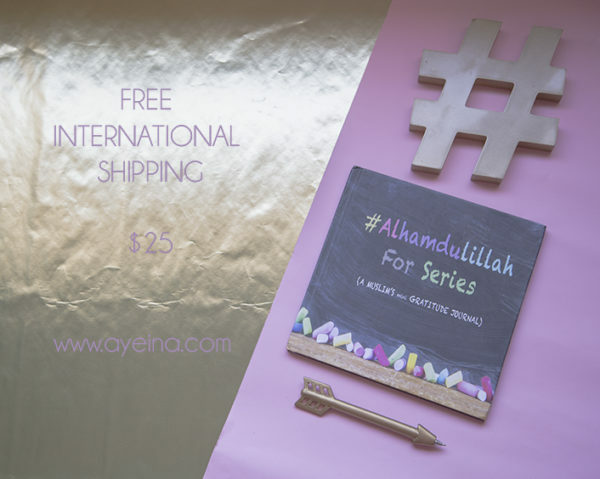 3) HARDCOVER (BUY 2 GET 2 FREE offer with FREE INTERNATIONAL SHIPPING on last stock with minor damages) 8″x8″ – You will automatically be sent 4 journals once you check out with the price of 2. 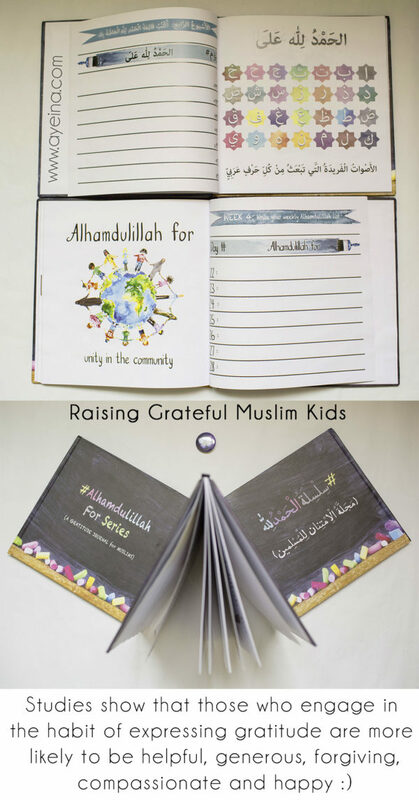 Makes a great Ramadan gift! 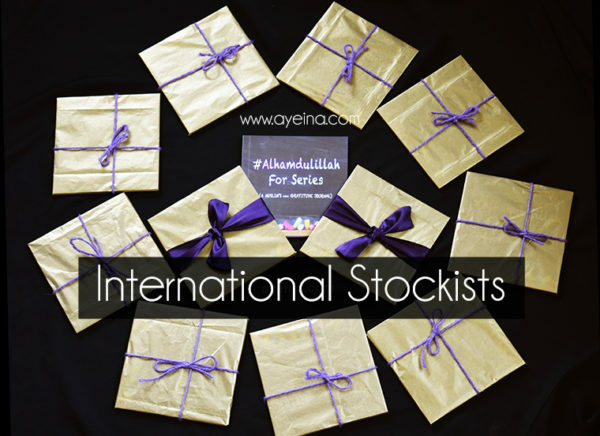 (Please note that if you place only one book order, then you will be sent a brand new journal – the buy 2 get 2 free offer only applies when you check out with 2 books). 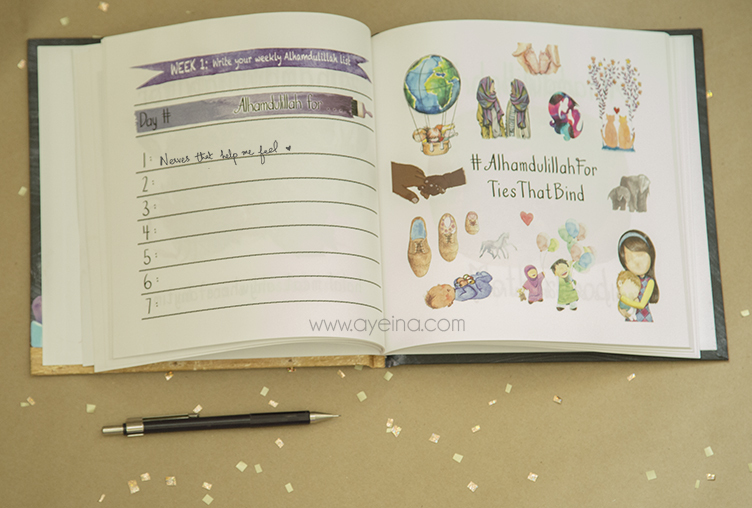 There is a section for each day to write Just ONE Alhamdulillah a day. 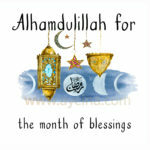 One thing you were grateful for in a whole day. 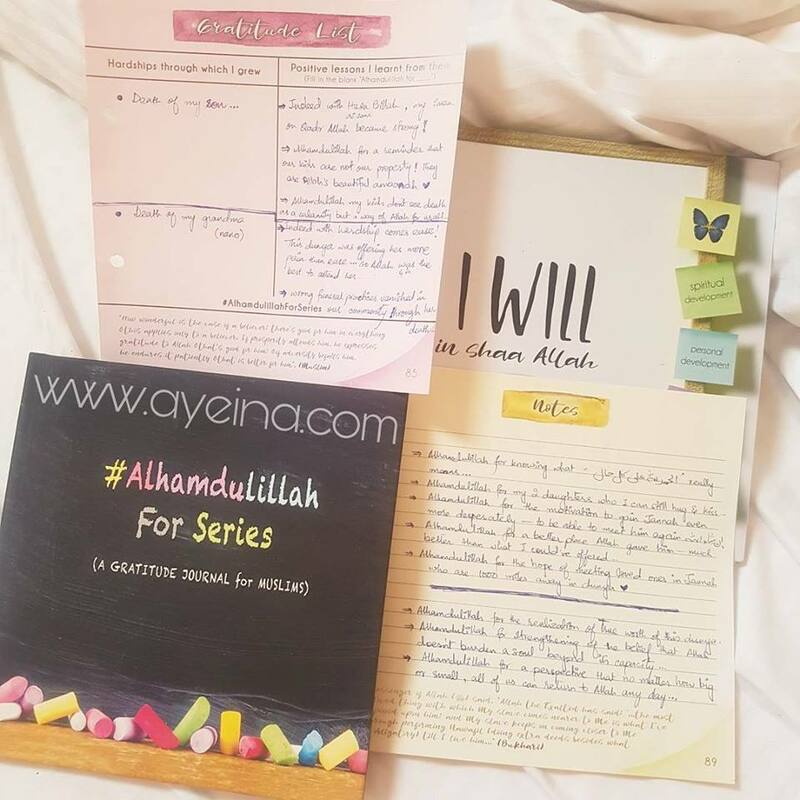 In the “notes” section at the end of your 31-day list, you can write down what you felt after one month of your Alhamdulillah journey. Did it improve your perspective on life? Did it help you sleep with a smile? 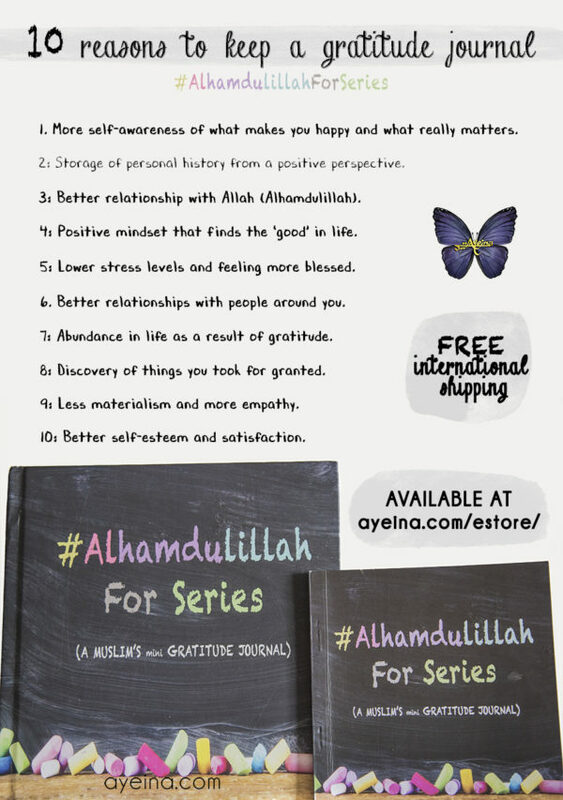 Did it make you say Alhamdulillah more? Did it water your soul and quench the core? We’ve delivered our journals to countries like Netherlands, Kuwait, France, Morocco, Finland, Switzerland, South Africa as well so it doesn’t matter where you reside, you can avail free international shipping in shaa Allah! I am filling the journal with my daughter. She’s even started to say Alhamdulillah for little things in life that would bother her otherwise. She started keeping in mind what would happen if we didn’t have that particular thing. Honestly it’s making me grateful too! 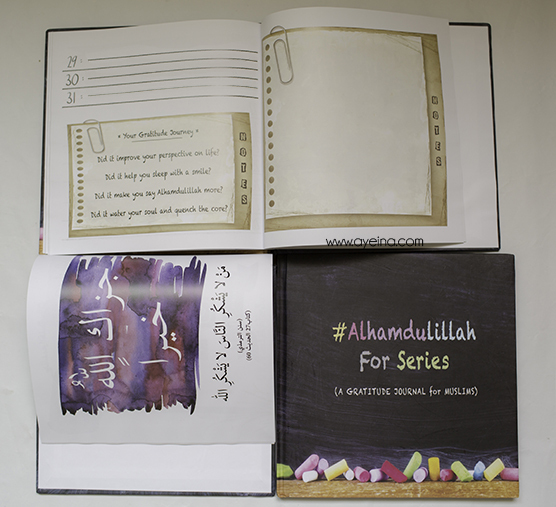 Alhamdulillah, I have printed another of the digital gratitude journal to do with my eldest. My 5 year old would love it. 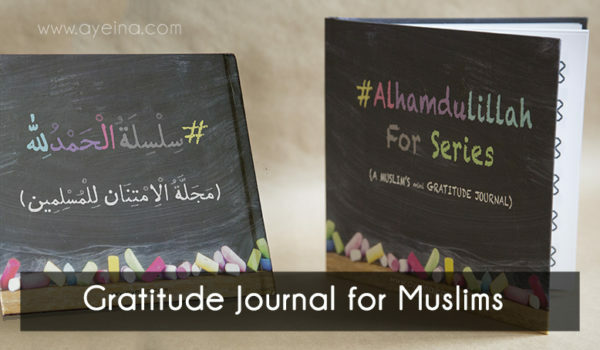 It’s been 18 days since I started this Gratitude Journal and already, I can tell you that it’s made a difference. 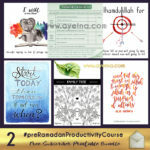 12 days left technically (for a month’s journey of productivity) but I’m determined to not let the gratitude stop there!